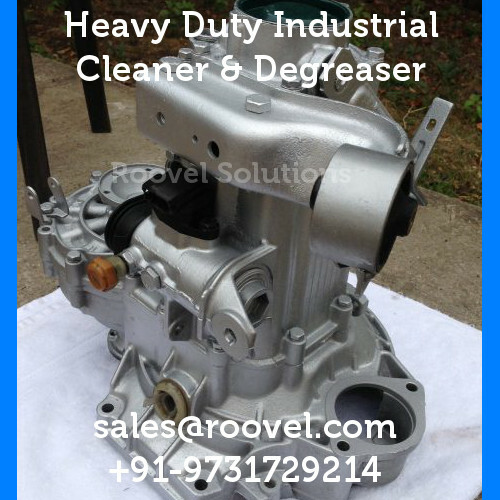 POWER CLEAN-[XL] is a very effective metal degreaser that removes Heavy Oils (Cutting Oil, Lubricating Oil, Lapping Oil, Coolant Oil), Grease, Dirt e.t.c from any metal / components very easily and quickly. POWER CLEAN - XL is one of the industrial degreasing chemicals manufactured by Roovel Solutions, one of the reputed degreasing chemicals suppliers. This metal degreaser cleans and degreases both ferrous and non-ferrous metals thereby making it a multi-metal cleaner. In addition to effective degreasing, it also provides corrosion protection after cleaning making it the best industrial degreaser in its category. It can even be safely used on plastics such as component trays and bins. POWER CLEAN XL is a heavy duty aqueous degreaser concentrate designed to remove a wide range of organic soils. 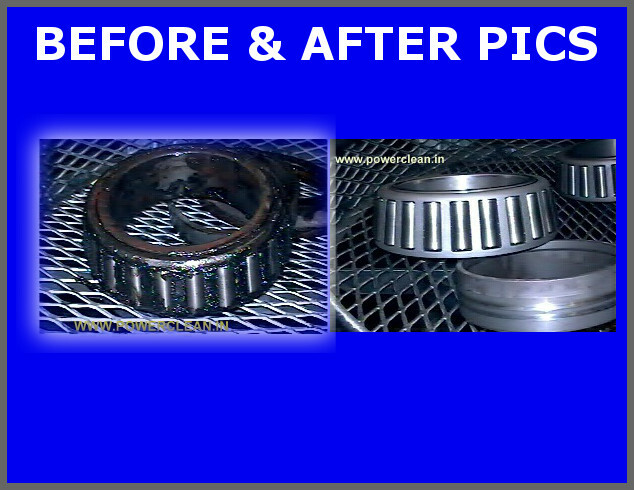 It degreases and cleans tough greases, lubricating oils, cutting oil, lubricating oil, waxy films, honing oils, bending oils, stamping oils, drawing compounds and many other contaminants. The metal degreaser easily removes them with no impact to the metal. POWER CLEAN XL is supplied as a liquid concentrate that you can dilute with water in 1 - 15% concentration by volume depending on contamination at an operating temperature range of 60 to 70 degree Celsius. This metal degreaser is a fast acting cleaner designed to meet a broad range of cleaning efficiency requirements. You may use hand wipe, solution spray and mechanical or ultrasonic agitation to enhance the cleaning action of these industrial degreasing chemicals. The parts may be wiped with a damp rag or rinsed off with warm water. Filtered hot air helps to dry out the parts. Roovel Solutions is one of the top degreasing chemicals suppliers that care as much about you as they do about the environment. That is why this product is eco friendly and replaces hazardous and toxic solvents like Trichloroethylene (TCE), Perchloroethylene and other caustic chemicals. POWER CLEAN-XL lets you easily achieve the required degree of cleanliness with all round safety of the operator, machine, storage and environment at a fraction of the cost. 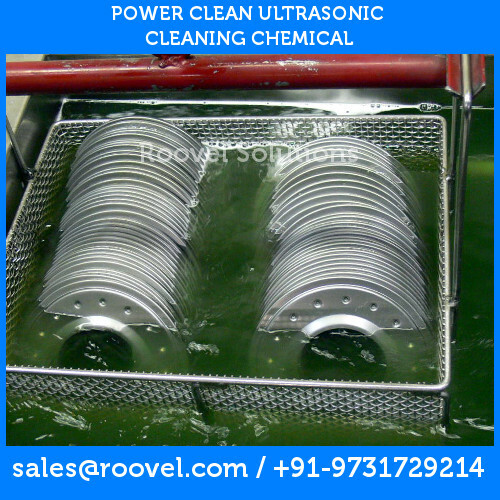 A very effective ultrasonic cleaning chemical, it can save you a lot of money when used properly. Sulfur-based cutting fluids, coolant oil/fluids and rust preventive oil. Use POWER CLEAN XL to meet your cleanliness standards while doing your bit for the planet by joining hands with several of the environment-conscious degreasing chemicals suppliers which includes Roovel Solutions. We tried many product unsuccessfully. POWER CLEAN XL works on multi metals and were able to have one single solution for all our cleaning needs.